A bored twenty-three-year-old woman suddenly leaves her dull suburban job for L.A., becomes Internet-famous, and falls in love--Zelda to a semi-famous Scott. One day, I was not famous, the next day, I was almost famous and the temptation to go wide with that and reject my past was too great. When I was legit famous, it was hard to tell when the change had occurred... If I had been born famous, the moment I would have started engaging in social media, I would have seen this fame, not the rise of it. But first I saw the low numbers, and later, the high ones. 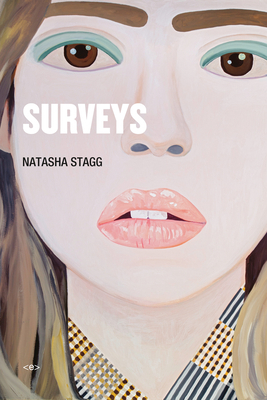 Wryly mirroring the classic, female coming-of-age narrative, Natasha Stagg's debut traces a few months in the life of Colleen, a twenty-three-year-old woman with almost no attachments or aspirations for her life. Working at an unsatisfying mall job in Tucson, Colleen sleepwalks through depressing office politics and tiresome one-night stands in a desultory way, becoming fully alive only at night when she's online. Colleen attains ambiguous Internet stardom when she's discovered by Jim, a semi-famous icon of masculinity and reclusiveness. When Colleen quits her job and moves to meet Jim in Los Angeles, she immediately falls in love and begins a new life of whirlwind parties and sponsored events. The pair's relationship, launched online, makes them the Scott and Zelda of their generation, and they tour the country, cashing in on the buzz surrounding their romance. But as their fame expands, Colleen's jealousy grows obsessive.